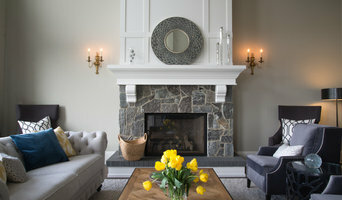 We're Canadian Online Interior Designers who create affordable custom online design plans. We work with you, we take care of you, we educate and empower you. We’re on a mission. Our mission is to connect people to a world of interior design that’s more approachable, accessible and fun. We find solutions to the things about your home that are stressing you out and while we do that, we make your space functional and beautiful. Your home should be a place to thrive, where you feel nurtured and rejuvenated so you can use your precious time and energy on the worthwhile things in your life. 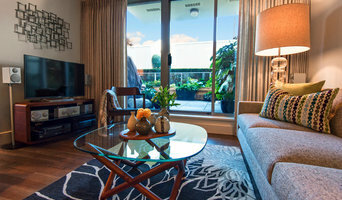 Our process ensures your plans truly reflects you, your tastes and the way you live. No matter what the size or the shape of the project you will have everything you need to implement your Good Space Plan Online. At Kelly Deck Design we create elegant and inviting homes that epitomize the lifestyle and tastes of the families who live in them. Luxury is in the details and our team is obsessive about how a home is built – every detail is attended to in our design process and the drawings we produce to construct a home. We take a very holistic approach to designing a home and it starts with listening. We want to know all about our clients lives – their families, their past times, their work schedules, how they entertain, what they do in their leisure and what drives them crazy. We want to know everything so that we get it right. We know we’ve achieved that when the client says things like “I’m living in my dream home” or “I never imagined it would feel so calm, so me”. We believe that a sustainable choice is one made in good taste. We’re not into fleeting fashion or whims. Our homes are highly crafted, carefully curated and built to endure physically and aesthetically. They are also highly livable and easy to appreciate. When the time comes that a client chooses to part with a home we’ve created together, our homes always finish at the top of the market. Award-winning interior designer, Jamie Banfield has become a creative force in the industry, and recognized for his signature West Coast style. Specializing in design for all spaces, with a focus custom home and unique residential renovation projects. Jamie has the ability to transform and create well-edited spaces that exude both function and beauty. His inviting interiors offer a contemporary feel that are timeless and bold, yet decorative and unassuming. With a passion for textures and sustainable design, he often uses reclaimed materials, offering a unique perspective to his finished rooms. At Jamie Banfield Design we specialize in creating stylish, well-executed rooms for all areas of the home with expertise in kitchen and bathroom projects. Our designs offer a contemporary flair with a nod to the natural beauty of the West Coast. Innovative and forward thinking, we are passionate about all things design. Our complementary talents and diverse skill sets transform residences into stylish, sustainable, and strategically engineered spaces. Jamie frequently lends his style advice on stage at Canada’s leading home and design shows and was recently recognized by the National Kitchen and Bath Association as one of the industry’s top 30 Under 30 in North America, Western Livings 2015 One to Watch and finalist for the 2016 Western Livings Design or the year award . The Jamie Banfield Design team believes in providing a positive client experience from beginning to end and we are particularly proud of our recent win - Best of Houzz 2015, 2016 + 2017 for Customer Service. 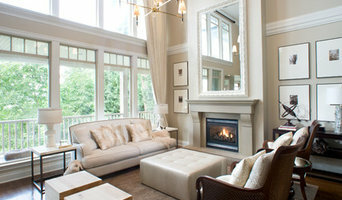 Stephanie Brown Inc. is a Vancouver based Interior Design firm specializing in custom residential design. The firm's portfolio of work is representative of the vast range of styles that personify each individual client. Whether modern or traditional, casual or formal, Stephanie and her team seek to create fresh and uplifting interiors that transcend client expectations. The firm's work has been featured in publications such as Western Living and Gray Magazine. Stephanie has been named a finalist for Western Living's Designer of the Year in 2015 and 2016. Fresh. Personal. Unexpected. Lael O'Brien Design creates unique environments which blend the functional with the personality of a client. We collaborate with our clients in every aspect of a project - from planning to project management to placement - for the ultimate end result. We eschew design cliches and trends which underscores our eclectic and innovative approach to each project. Lael is best known for her creative approach to space planning, and out of the box combinations of paint and wallpapers.